Every day USTA Central Arizona and its partners help kids learn not just a sport of a lifetime, but self-confidence, sportsmanship, and the habits of an active, healthy lifestyle. We are committed to making sure that all kids have an opportunity to play and learn from this lifetime sport. 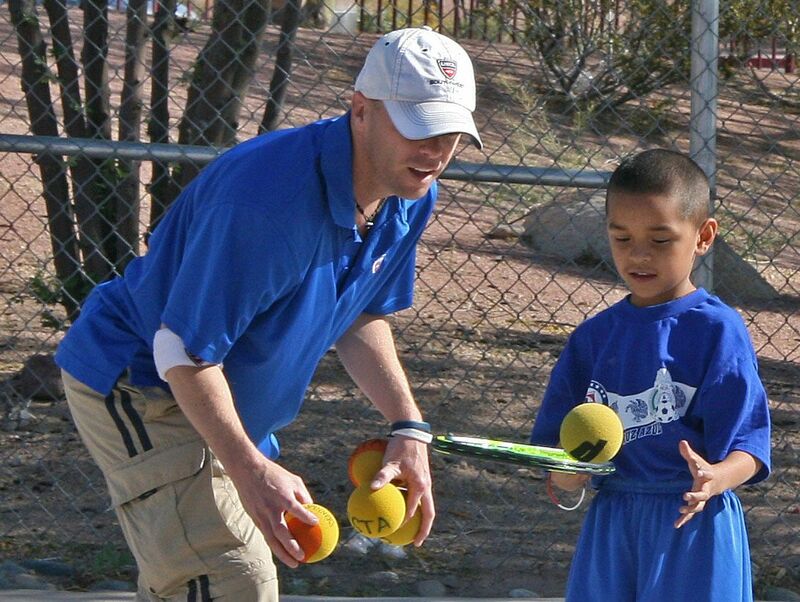 USTA Central Arizona is looking for instructors for their after schools tennis program. You do not need to have a tennis background to qualify to become an instructor in the program, as we will provide all the training necessary to make you an effective teacher and coach. We are looking for individuals who are passionate about working with kids and who have a passion for education. The goal of our program is to make sure that every child has fun playing tennis and leaves the program a more well rounded individual. Some of our best instructors are parents and teachers of our children (past and present). In order for our program to grow we need help in recruiting instructors. Instructors are paid $30 per class. In an effort to get more of our own membership involved in helping grow this program, we will be offering a FREE USTA league session to all of our instructors as a token of our appreciation for teaching starting in January 2010. Each class takes about an hour and a half (15 min. before start of class, 1 hour class, 15 min. wrap up). Our most effective instructors spend an additional 15-20 minutes preparing for each class. The more you come prepared to class, the smoother that class will run. 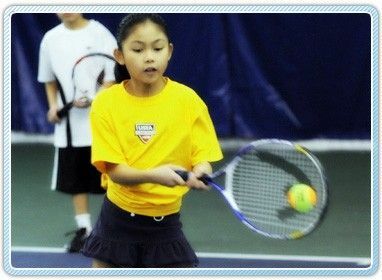 USTA Central Arizona is anticipating having over 500 children participating in the first 6 week session, January 2010. In order for this program to continue to grow, we need your help! Staffing qualified instructors (instructors who have a passion for tennis and education) is the only thing holding us back from growing this program. USTA Central Arizona is looking forward to working with individuals who have a passion to help promote and develop the growth of tennis, as well as help shape young children’s lives through the sport. We look forward to revolutionizing how tennis is taught to children in the schools, and we need your help! Help give back to tennis! Together, we can change the lives of many of our young children by giving them the gift of tennis. The majority of youth sports have followed this very formula for years. Baseball begins with smaller bats, smaller fields and progresses from tee ball, to coach pitch, to player pitch. Basketball and soccer also employ similar methods, including shortened playing surfaces and appropriate sized equipment. That helps ensure that your kids' first experiences in the sport will leave them overjoyed, not overwhelmed. The shorter and narrower courts give kids the confidence and ability to cover the entire court. Kids have trouble controlling full-sized racquets because they are	too long, too heavy and the grips are too large. Jr racquets are proportionate in length and weight and have the grips that fit smaller hands. This makes it easier to control. Balls that bounce at a height equal to	kids' playing abilities allows for better and longer rallies and allows them to build all-court games. By being introduced to this style of play from the start, young children will gain confidence by seeing their own immediate progress, making them more enthusiastic about continuing to play and improve. QuickStart Tennis enables kids to have more enjoyable experiences early on in the	learning process and	having fun is always a factor in keeping kids involved.